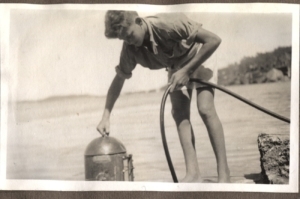 All photographs relating to Nora Miller were kindly provided by her family, who gave permission for their reproduction. Nora was an accomplished pianist, and played the organ, often for church services. She was also a beautiful singer. The piece was written for the Echoes Tour in 2018 and first performed at the Engine Shed in Stirling on September 18th 2018. It reflects the excitement of Nora’s life and that of her favourite fish – the Lungfish! Nora Miller’s mother was a wonderful singer who studied with Hubert Parry. The words of this gorgeous lullaby have been slightly altered for her to sing to the young Nora about her future at sea. The first performance in this version took place at The Engine Shed, Stirling, on September 18th 2018. We don’t know when the piece was originally premiered. 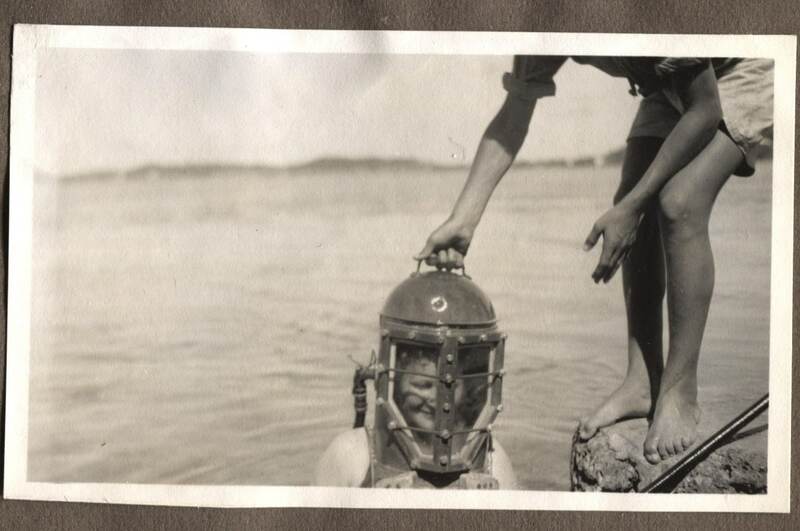 Nora much enjoyed diving using a helmet and weights, to observe marine species in the wild. 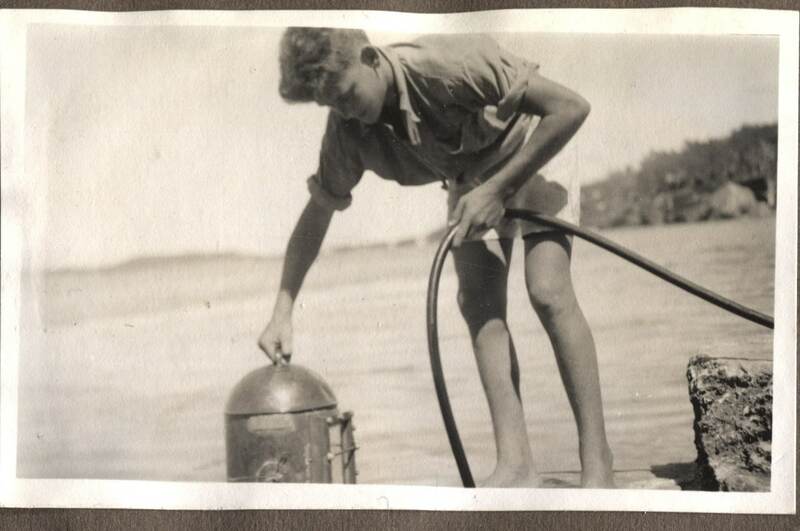 She sometimes captured a specimen, and was careful to bring it to the surface in a container of seawater taken from its own marine environment, so as to keep it alive as long as possible. 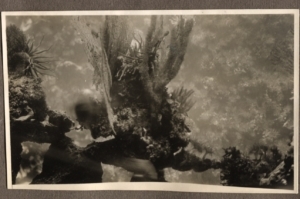 Nora was one of the first people to take photographs underwater, and made one of the first underwater films in colour. The location of this reel of film is not at present known. 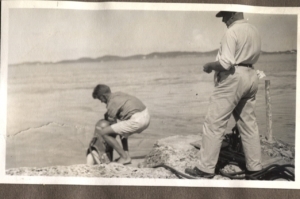 She delighted in travelling overseas, to countries such as Australia, South Africa, Bermuda and Italy, and combined tourism and leisure with work-related visits to marine laboratories and sites of interest to marine science. 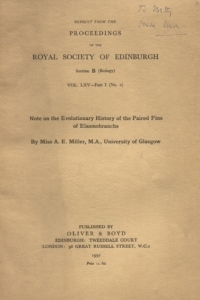 She carried out research into the evolution and development of lungfish, especially the South American lungfish, Lepidosiren paradoxa, and published several papers on this topic. A curiosity for palaeontologists had been a tiny fossil, 20 to 60 millimetres long, first described in 1890. It was discovered in large quantities in Achannaras slate quarry in Caithness, and named Palaeospondylus gunni. The specimen was unlike any known living creature or fossil ever found, and scholars could not agree on the species to which it belonged. 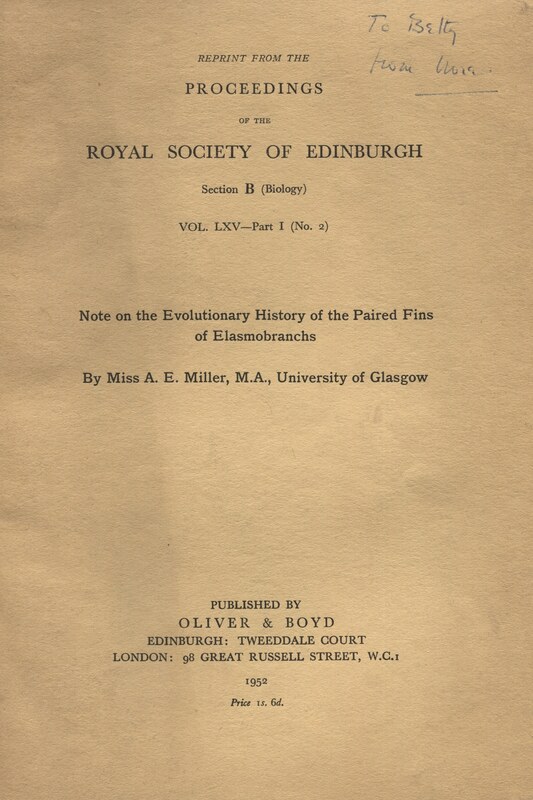 Nora Miller became interested and proposed in 1930 that it was the larval form of a member of the Dipnoi, or lungfish family. This view was thought to be very improbable by prominent zoologists. In 2003, an article in the journal, Nature, produced evidence that Palaeospondylus gunni was indeed a larval lungfish. There is still debate on this hypothesis. Playing the piano and the organ were almost second nature to her. She assumed everyone could do it, and asked her niece one day to take over from her in the church, thinking it unimportant that her niece had never actually had any lessons in organ-playing. 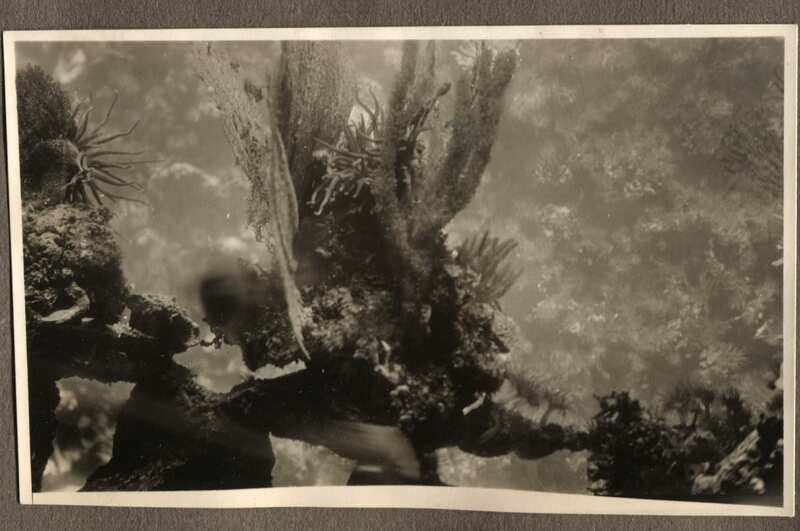 On a dive off Bermuda in the 1930s. The air tube can be seen in the bottom right corner. Nora was noted as an enthusiastic and articulate lecturer, who had a talent for engaging and engrossing her student audience. 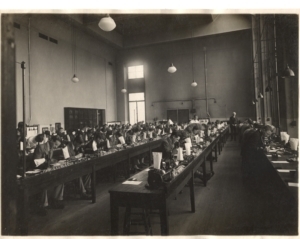 Zoology was part of the curriculum for medical students, so she frequently had very large university classes. Several generations of students were fortunate enough to be taught by her. Yet she did not restrict her teaching to students at university level, but devoted several years after her retirement to the introduction and teaching of zoology to college students. 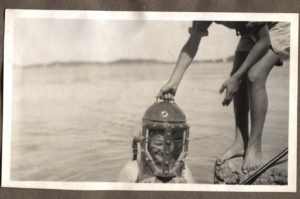 She was a pioneer in her field of zoology as well as in underwater exploration, at a time when few women were involved in these activities. She deserves to be much better known as a role model for young people today.